For many Christians like myself, we were taught for decades that "Magog" of Ezekiel fame was almost beyond any doubt, Russia. Living through the Cold War, it wasn't hard to believe this. In accepting this train of thought it is entirely possible that millions of people had and probably still have a somewhat skewed view that Russia is inherently evil, somehow pre-programmed to fulfill a biblical destiny of eternal infamy. 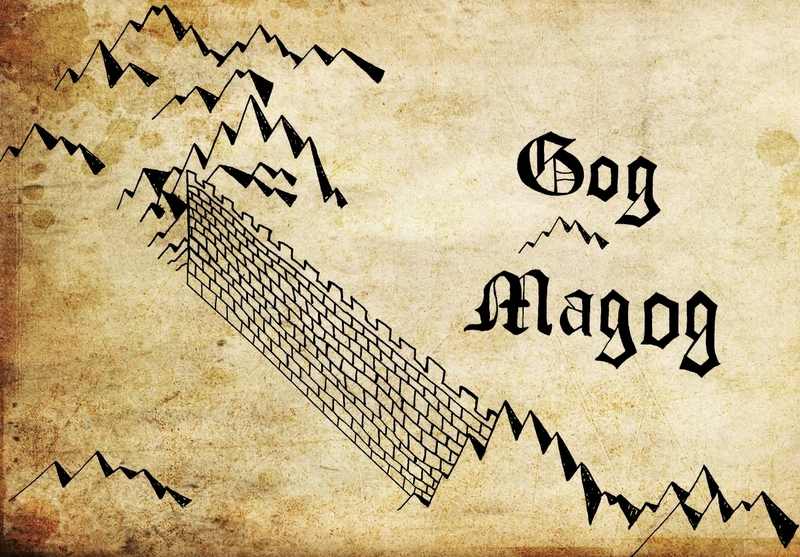 But what if Russia is not Magog? What if the teachers, seeing as through a glass dimly, were mistaken? According to Henry, some scholars, “think they find them afar off, in Scythia, Tartary, and Russia. Others think they find them nearer the land of Israel, in Syria, and Asia the Less.” The term “Asia the Less,” refers to the region now occupied by Turkey. So even three hundred years ago, biblical scholars couldn’t agree if Ezekiel was talking about a last days assault of Israel led by Russia or Turkey. Today this variety of opinion continues. While many popular Bible teachers claim that Gog will come from Russia, many others claim that Ezekiel’s prophecy actually points to Turkey. In my books, Islamic Antichrist and Mideast Beast, I have also argued extensively that Ezekiel’s Gog comes from the region of modern day Turkey and not Russia. 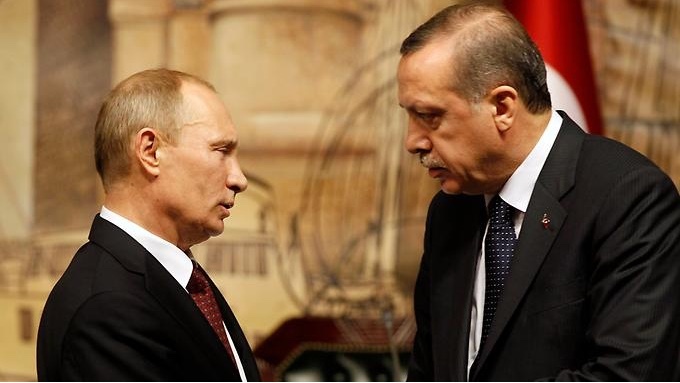 What is so fascinating however, is that whether Gog is from Russia or Turkey, both nations are now presently being led by undisputed dictators of whom it could be said fit the Gog profile. When Joel C. Rosenberg was recently asked if Russian strong-man Vladimir Putin could be the prophesied Gog, he responded: “it’s too early to draw such a conclusion, though I admit Putin is certainly ‘Gog-esque.’” Rosenberg may be correct. Yet since the failed Turkish coup of July 2016, many other students of Bible prophecy have been looking to Turkish President Erdogan as a possible Gog-candidate. Rather amazingly, the geopolitical landscape and climate in both Russia and Turkey are uniquely aligning with many of the descriptions found in Ezekiel’s prophecy. It is as if the Lord is sovereignly orchestrating world events to keep us all on our toes! Because Ezekiel’s prophecy will have such a profound impact on the State of Israel, we would all do well to pay very careful, and more importantly, prayerful attention. One one hand, the chaos in Syria and Iraq has led to an unprecedented Russian military presence in the Middle East. The potential prophetic relevance of this is compounded by Russia’s alliance with Iran, currently the greatest threat to Israel’s existence, and a nation that features prominently in Ezekiel’s prophecy. Of course, when various Muslim dictators threaten to eliminate Israel, no one is surprised, but what exactly is Russia’s end game in the region and specifically with regard to Israel? We may find out soon. Putin’s defenders say he is in Syria primarily out of simple economic self interest—namely control over the various energy pipelines that criss-cross the region. This is certainly true, but does Putin have greater regional goals? Might Putin have his eye on Israel’s vast natural gas reserves? Interestingly, Ezekiel’s prophecy specifically says that Gog’s motives for invading Israel is “to capture spoil and to seize plunder” (38:12). Certainly there is much here for prophecy watchers and Israel’s intercessors to pay attention to. On the other hand, we have Turkey, a nation led by Recep Tayyip Erdogan. Since the failed coup of July 2016, Turkish authorities have arrested or detained roughly 160,000 people. While this includes virtually all of Erdogan’s political opponents, the primary focus has been on supporters of Fethullah Gulen, a highly influential Turkish imam whose followers were largely responsible for Erdogan’s rise to power. Erdogan’s crackdown on the Gulenists has many eery parallels to what become known as, “the Night of Long Knives,” when Adolph Hitler ordered the assassination of those within the Nazi paramilitary organization known as the Brownshirts. Those within this organization were among Hitler’s earliest and strongest allies, yet Hitler felt they needed to be eliminated in order to consolidate his absolute control over Germany. This is almost identical to what Erdogan has done in Turkey. Now that all of his adversaries are either dead or in jail Erdogan has completed his plan to become the absolute dictator of Turkey. Let’s consider then who we are dealing with. First of all, it was Erdogan’s right wing Islamist party that essentially created ISIS. There is more than enough ample evidence that Turkey provided much of the support that ISIS needed in its early days to take root in Syria and Iraq. Despite the many atrocities of this group, they were the perfect junk yard dog for Turkey to use in its larger regional war with Bashar Assad, Iran, and the Kurds. So here is a supporter of radical Sunni jihadists who is now in control of the most strategically important piece of property in the region and the largest army in the Middle East. Add to all of this, Erdogan’s many anti-Semitic outbursts in recent years, as well as his increasing effort to cast himself as the new Sultan of Turkey and the new Caliph of the Muslim world, and it is clear that he is indeed emerging as a likely candidate to fulfill the role of the prophesied Gog. What then are we to make of all this? It is almost as if the Lord has perfectly allowed world circumstances to conform in more than one way, giving us multiple possibilities to fulfill Ezekiel’s prophecy. Is Gog emerging in front of us? We may find out very soon. One thing is clear however; the Lord wants us all to remain alert and on our knees. Regardless as to how things unfold over the next few years, certainly now is an absolutely critical moment for all of Israel’s intercessors to stand in the gap and fervently cry out to the Lord for her peace, safety, and most of all, for her salvation in Messiah.